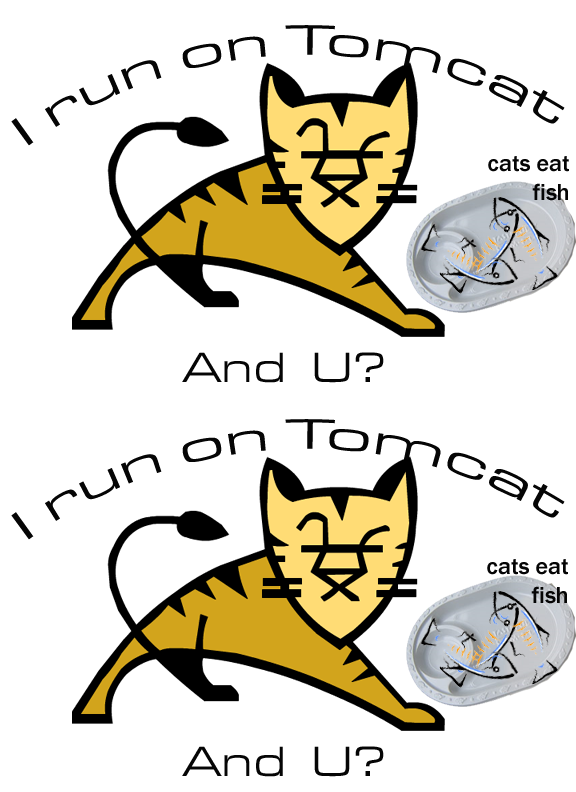 Some time back I created a tomcat tshirt. I never got to print it out but here’s the pic if you need it yourself..! This entry was posted in apache, java on July 9, 2009 by Hussain Fakhruddin. Users will be able to configure almost any service and start and stop it remotely through SSH. Imagine a single GUI to manage all your servers around the world with a simple click! This entry was posted in java, linux on December 29, 2008 by Hussain Fakhruddin. Life without Apache : Meritocracy in Action. I am obsessed with Apache. Yes! I am and I am proud that I am! I was just wondering how life would be WITHOUT Apache! CGI and PHP wouldn’t have come out..
Total no. of websites in the world would be less. I don’t know how much % but yes, it would surely be less. Who can forget the popular Tomcat. Java wasn’t open source before, other app servers were not that comfortable interms of price, simplicity and ease of use. 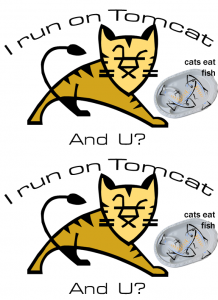 Every newbie in JSP/Servlet starts with Tomcat. People crib that Tomcat doesn’t have EJB, who needs EJB these days? No Java projects would compile using Make, so Ant came it. Imagine how difficult life would be without ANT scripts. MVC the most popular design pattern: Struts is the name you think of. If it weren’t there, you’d still be writing your own servlets and JSP and controller logic. Almost 80-90% of GOOD Java EE developers would use Apache Commons. I mean who doesn’t use it? Forget all programming, there is still no comparision with Xerces for XML. I challenge. Make your code as Webservice? No words about Axis, yet again apache product! Object relation model: Try iBatis, you wont leave it again. This entry was posted in apache, java, linux, me, Open Source on September 26, 2008 by Hussain Fakhruddin. I am going to compile a few queries where I broke my head. Q) If I do window.open(‘anotherPage.html’), How can I change the DOM of the parent window. This problem arrived when I was trying to add more rows to a table from another window itself. Problem: Firefox allows it. But IE doesn’t allow. Now for each cell, loop through it and do insertCells() and then copy the innerHTML to it. All this is done in a simple loop through the table. Problem: To keep refreshing content of a page through Ajax. One might typically use setInterval() but what if setInterval fires while a request from your ajax is coming back? Solution: Use a global variable called “lock”. Everytime you make a request set this lock, the call back function should release the lock. When setInterval fires your ajax request function it should exit if its locked. Q. getElementById(‘idname’). Don’t use it too often, Try to traverse though the DOM by your code. Q. Try to avoid excess IDs, This will occupy more browser memory interms of DOM parsing. For example, If you have a table, don’t give ID to each row. instead give the id to the table and then traverse the table. Q. Do overuse Ajax and submit multiple requests simultaneously. Browser might allow this, but your database will not. Specially when you’re doing connection pooling. In connection pooling , you have the same connection object and multiple execution of sql queries on the same object from different clients will result in failed transactions. Q. attaching events is a good idea , but beware, IE and FF behaves differently. The API is completely different. You wont have to comment or uncomment it all the time. Q. Another great FF extension is Firebug. MUST MUST have for all you JS guys…. This entry was posted in ajax, java, php on September 26, 2008 by Hussain Fakhruddin. 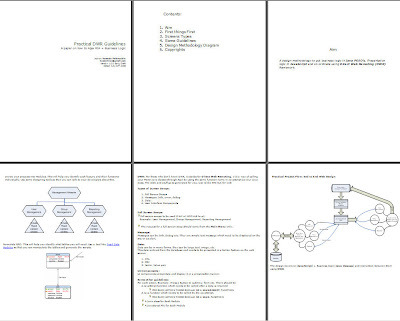 I have written a Paper on Practical DWR (Direct Web Remoting) Guidelines. You’ll enjoy it if you’re a J2EE guy who wants to do some Ajax. On 13th October Teknowledge Software conducted the first “Free for All” Open Source Web Technology conference called WebOSS ’07. The event was the first of its kind to be held in Kolkata. Teknowledge Software, a software house based in Kolkata hosted the event along with WBUT as the venue sponsor. Volunteers dressed in white T-shirts with WebOSS ’07 logo worked hard to put the event together. There was a lunch break after this which contained burgers, cakes, ladoo! and Frooti! It was a good conference, the jam packed audience was eager to know more and more! Overall, a fun event like barcamps! Its great to see such events happening in Kolkata! Go ahead Kol! Pradeep, Naveen and Shabbir again. This entry was posted in ajax, conference, flash, flex, internet, java, ria, web 2.0 on October 15, 2007 by Hussain Fakhruddin.